2. Saute the chopped bittergourds till brown and keep aside. 3. Mix curd with the ground paste and keep aside. 4. 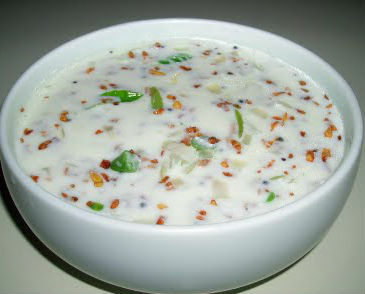 Heat oil for tempering and fry the mustard seeds till it splutters. 5. Pour it over the curd-coconut mixture. 6. Add salt and cook over moderate heat for 5 to 6 minutes. 7. Add the bittergourds and mix well. 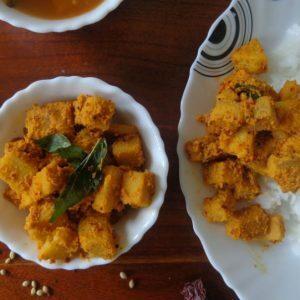 Feel free to comment or share your thoughts on this Kerala style Pavakka Pachadi Recipe from Awesome Cuisine.